PlaceIQ > News > Are Brands Wasting Ad Spending Due To Poor Location Targeting? Chipotle may “waste” an estimated 27 percent of their impressions if they target entire market areas where they have franchises. Some other brands are wasting a lot more, says PlaceIQ’s Drew Breunig. The challenge associated with inaccurate location data is a perennial problem that brands, agencies, and platform companies have tried to mitigate with various attribution solutions. But attribution only deals with the problem in hindsight. Geo-data specialist PlaceIQ is proposing a different solution that it says it can avoid wasted spending due to poor location targeting with a tool it’s rolling out called Smart Market Areas. PlaceIQ says its new product lets brands/media agencies avoid media spend on targeting ads to customers who will never visit their locations. It removes consumers unlikely to travel far to brick and mortar locations and those who never pass by a brand’s brick and mortar locations, which saves significant media spend. For example, PlaceIQ estimates that Chipotle wastes roughly 27 percent of their impressions if they target entire market areas where they have presence. Some other brands are wasting a lot more,” says Drew Breunig, SVP, Strategy at PlaceIQ. “PlaceIQ is using location intelligence to modernize one of the fundamentals of media delivery, that of market areas,” says Breunig. “By taking into account real-world behaviors, retail locations, and the interactions between the two we’ve built a product that is technologically complex but incredibly easy to use. Media buyers can simply drop-in Smart Market Area audiences for existing market area tactics and receive instant efficiencies. 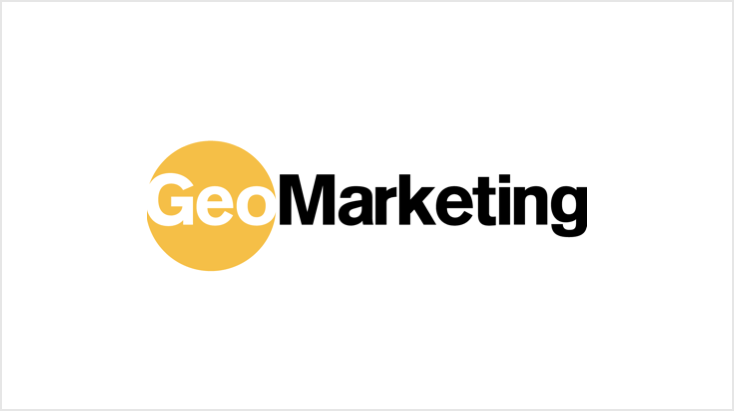 GeoMarketing: How big of a problem is “wasted inventory” in terms of targeting consumers who will never visit a location and how does it reflect wider industry issues with location accuracy? How many locations does the brand have and where are they located? Based on where people live, work, and commute, can they easily visit the locations? If there are many locations, there is less waste because everyone can easily visit. If there are few locations, there is more waste because it’s harder for a potential customer to fit the store into their day. How strong is the demand for the product or service the brand is selling? If the demand for a product is strong, people are willing to travel longer to get to the store. This helps mitigate a scenario where you might have few locations. How unique is the product or service the brand is selling? If you have few locations, high demand for your product matters less if people are selling similar products in more convenient locations. These three factors determine how big a problem wasted inventory is is when using generic market area targeting. Let’s look at three examples to illustrate how these three factors can change. THE UBIQUITOUS: McDonald’s has very little waste because they’re everywhere: McDonald’s has so many locations that they essentially address every household in the United States. It’s easy for nearly everyone to visit a McDonalds: in their top 50 markets, the average distance between McDonald’s and a customer’s residence is ~2.5 miles. THE UNIQUE: IKEA has very little waste because there’s high demand for their unique products. IKEA has a fraction of the number of the locations McDonald’s, but IKEA’s products are in high demand and sold only at IKEA. As a result, the average IKEA customer is traveling more than 13 miles to visit one of their stores. THE CHALLENGED: Chipotle has significant waste because they have few locations and plenty of competition. People are willing to drive slightly further to a Chipotle than a McDonalds; about 4 miles. However, they have much fewer locations and address much less of each market. For markets their in, 27 percent of customers don’t live, work, or commute close enough to a Chipotle location to easily incorporate it into their day. Because of this, ads delivered to those customers (targeted with generic DMAs) are essentially wasted. There are only a few brands that are ubiquitous like McDonald’s. It’s really only them and Subway. There are many unique brands like IKEA. They tend to be destinations, like REI, Restoration Hardware, The Apple Store, Golfers Warehouse, or Saks Off Fifth. These brands don’t need to worry about market area targeting waste due to the nature of their business and products. Unfortunately, most retail and dining business fall into our third category, the challenged. Grocery stores, drug stores, quick service restaurants, fast casual restaurants, and casual restaurants generally have significant waste if they’re using generic market area targeting. Here’s a few brands and their associated market area waste, aka the percentage of a market which doesn’t live, work, or commute near their locations. How does Smart Market Areas solve that problem? And what sort of brands and campaigns is this tool geared for? Smart Market Areas understands the location and draw of brand locations and the daily routines of devices. It brings these two understandings together to build easily deployable audiences which only target the people who live, work, and commute near brand locations. People who have to travel too far don’t receive ads. This product is ideal for any companies who don’t have perfect market coverage (i.e. anyone not McDonald’s or Subway) who seek to become a person’s habitual destination (i.e. anyone who benefits from regular traffic like QSRs, grocers, drug stores, and more).